We recently returned from a week in paradise. Bermuda. 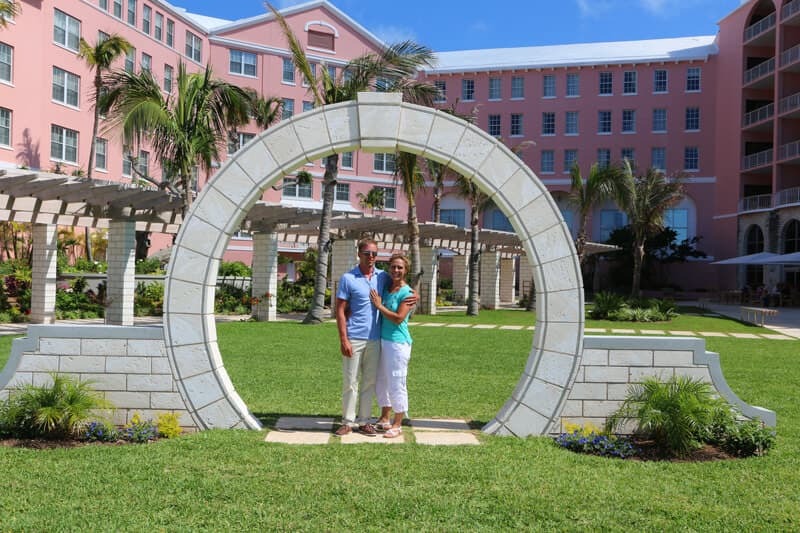 And during that week we were invited to stay in one of the most stunning hotels we’ve visited: Bermuda’s premier Hamilton Princess & Beach Club, a Fairmont managed hotel. Luxury hotels are frankly a dime a dozen. And we’ve stayed at many. But with properties like the Princess you have luxury combined with history, luxury that has stood the test of time, luxury that doesn’t have anything to prove because its reputation is already established. 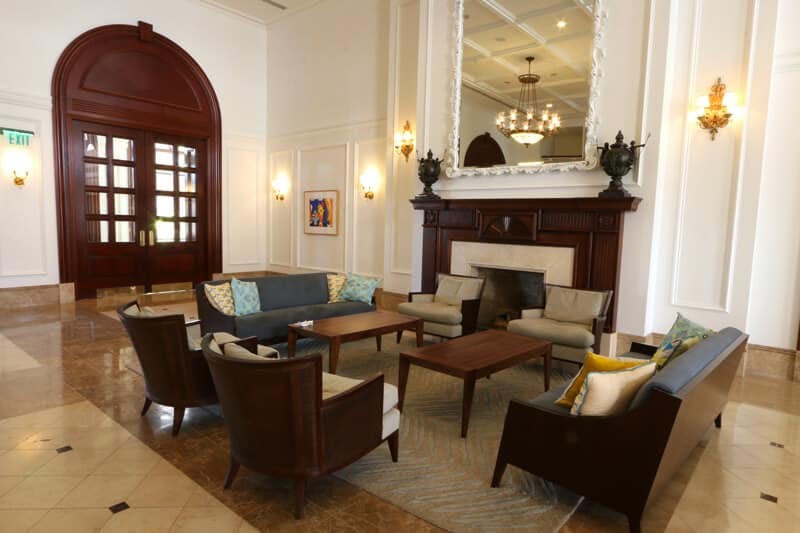 The Princess originally opened her doors in 1885 and has provided luxurious comfort to her guests for generations. And now recently the Princess has undergone an extensive facelift. 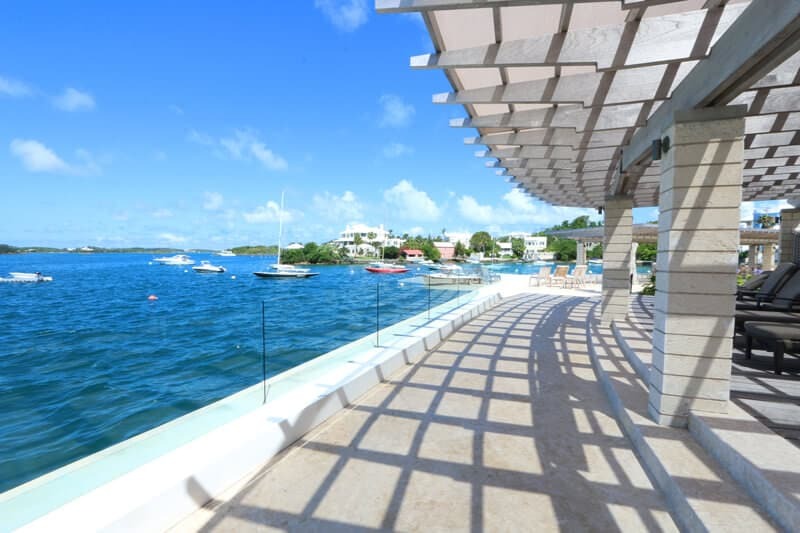 $90 million is the price tag associated with the Princess’ recent renovations that have made this royal beauty sparkle like never before. Two of the hotel’s wings have been renovated with more to come, the public areas throughout the hotel have undergone some modern transformations, and the Princess now enjoys the addition of a marina, a dazzling infinity pool, Marcus Samuelsson’s new restaurant, and a breathtaking beach club. The hotel staff were probably the friendliest we’ve encountered. Many if not most of them are native Bermudians and that explains it. 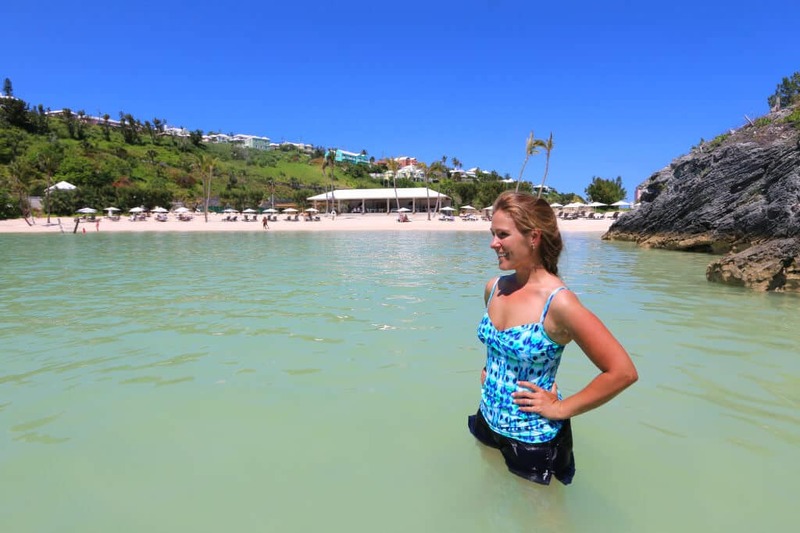 The Bermudian people are some of the friendliest people we’ve met. An exceptionally beautiful island with wonderful people. 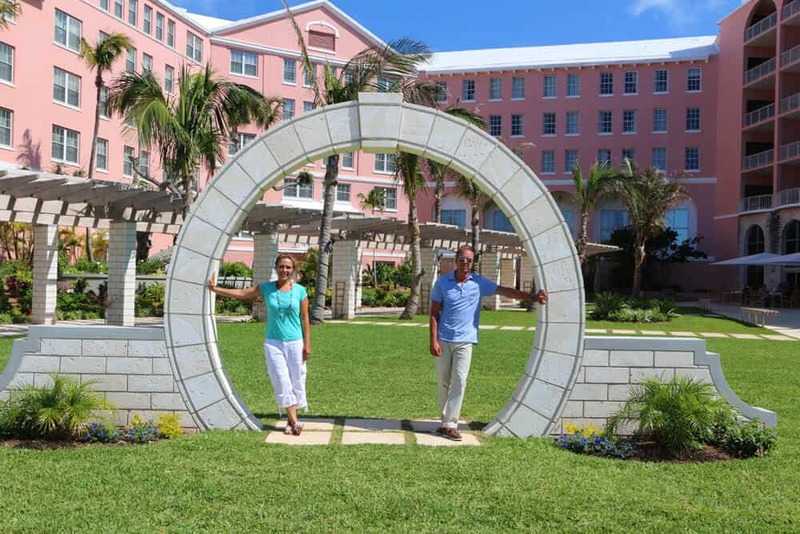 The Moongate is a Bermudian tradition. It’s said that if a single person stands under the arch they will soon meet their mate, if a dating couple stands under it they will soon be happily wed, and if a married couple stands in the arch they are destined for a forever happy marriage. If the information we heard was correct, there are less than ten such arches around the island. But lucky for us there was one conveniently located right at the hotel! One of the things that struck me was how beautifully manicured the grounds are with a seemingly endless amount of colorful flowers and greenery. The Infinity Pool is absolutely gorgeous and faces the Hamilton harbor. 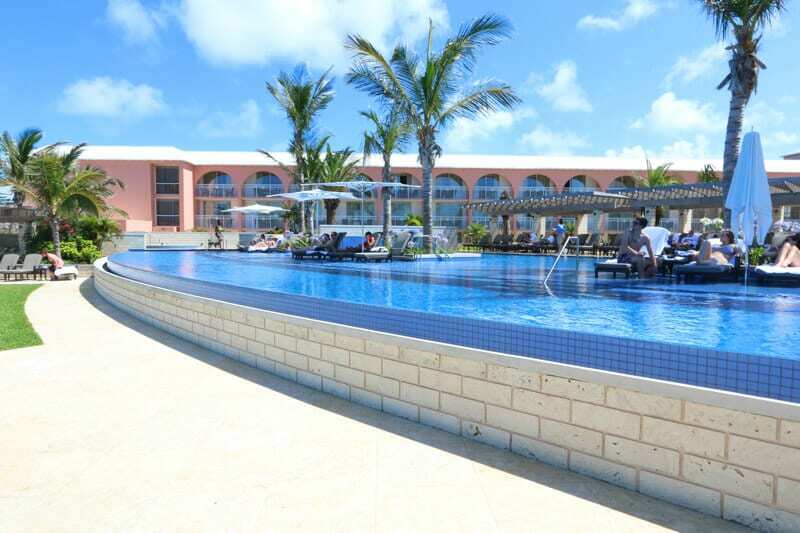 During the day it’s vibrantly cheerful and provides the perfect setting for relaxation. In the distance on the right is 1609, one of the Princess’ restaurants with great food and fabulous views of the harbor. We’ll get to that later. 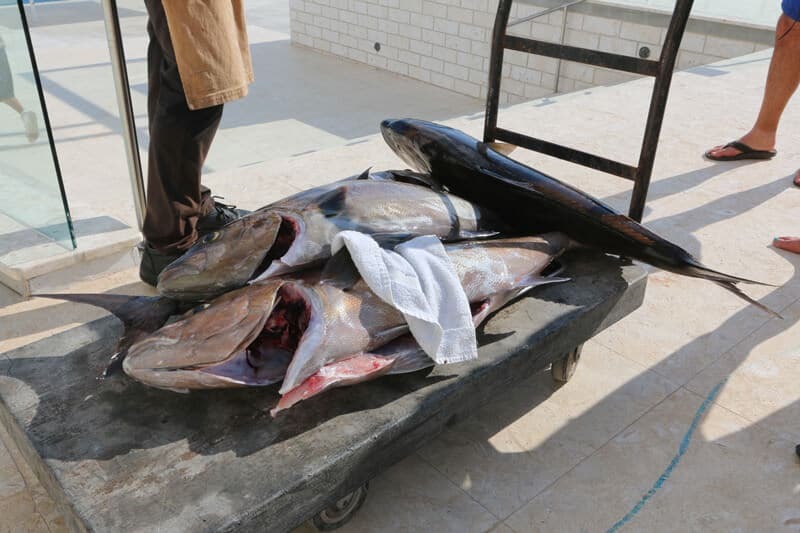 The Princess’ new marina features K.S. Watersports that provides various tours and activities, including jet ski tours. We took their 75 minute “Island Adventure Tour” and had a blast! 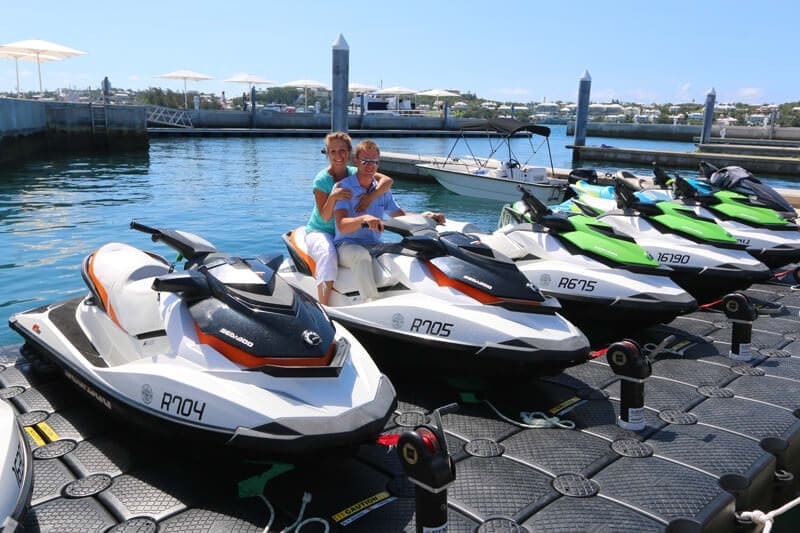 We maxed the jet ski’s capacity at nearly 40 mph – what a way to see the island! The tour guide told us about some of the various sites including a famous shipwreck, a large fish feeding ground, some notable homes and buildings, and Bermuda’s famous green sea turtles. 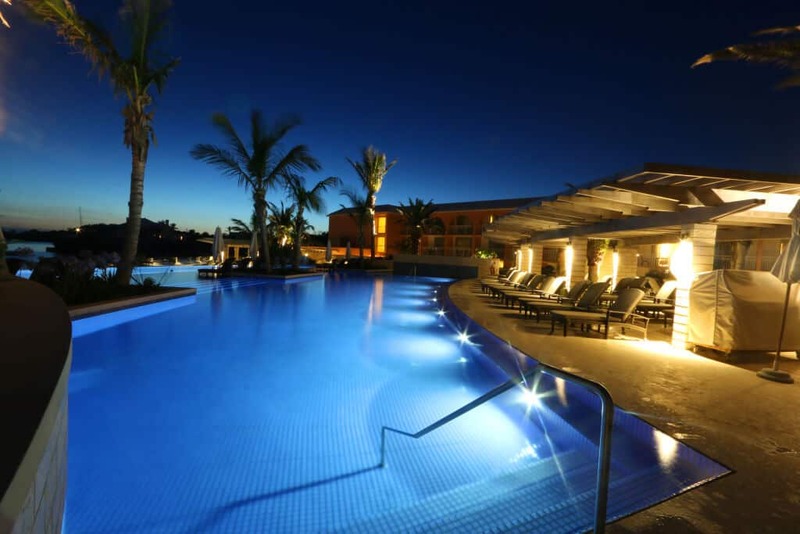 The pool area is particular beautiful at dusk and nighttime. It’s so peaceful and serene, almost magical. 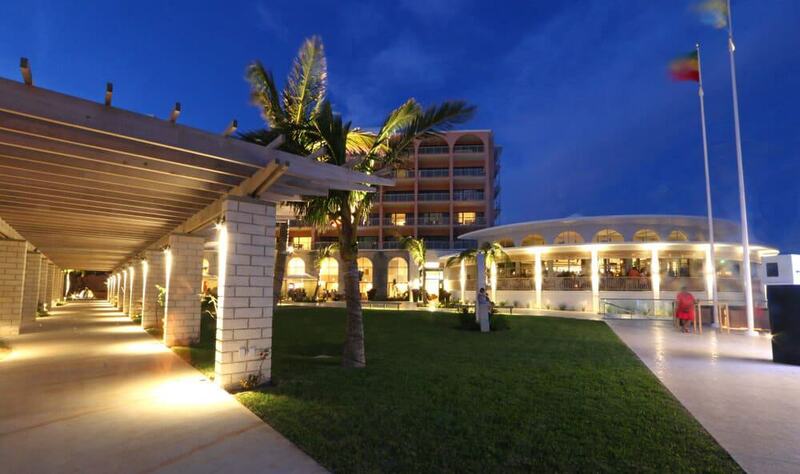 We enjoyed several romantic walks around the hotel’s premises at night. The grounds have nice atmospheric lighting, including glistening lights on the concrete pathways. Let’s move to interior of the hotel. The Princess is a really nice combination of classic and modern. 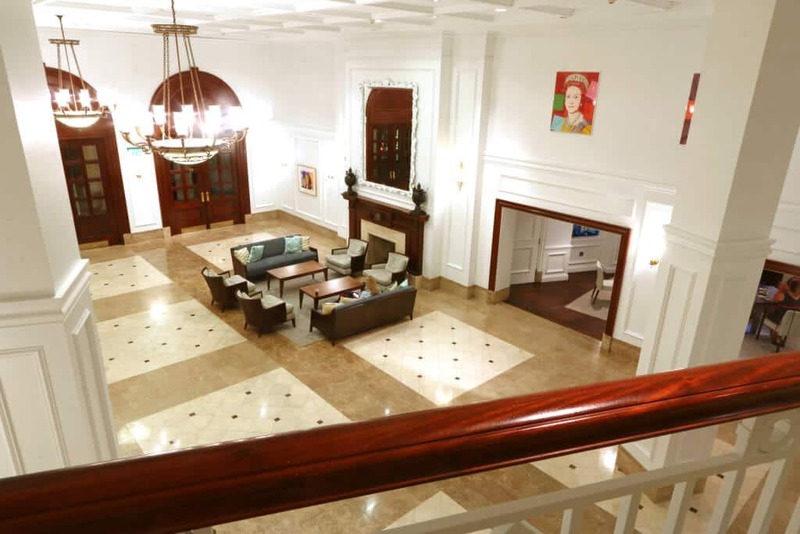 For example, traditional coffered ceilings, wainscoting and moldings are juxtaposed with modern art. The owners of the Princess purchased $5 million dollars worth of art, including the series of Andy Warhol renderings of Queen Elizabeth you can see below. As just mentioned, the owners acquired $5 million worth of art. See the white bunny below? That’s the original statue of Miffy and was a full $2 million dollars! We had to chuckle when we saw it because our kids had just recently come across Miffy on Netflix. 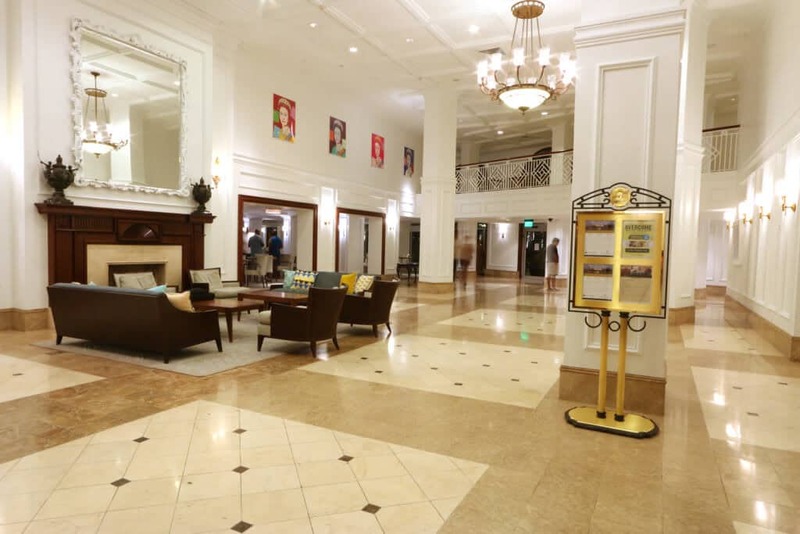 While the majority of the hotel is modern, there is one area that remains very traditional: The Princess Ballroom. The back right of the room leads to a kind of butler’s pantry and beyond that is the board room. Specifically, the Churchill Boardroom. We learned something fascinating from one of the hotel staff, namely that Churchill sat in this very room and conducted some of his plans during WWII. Let’s take a look at the guest room. We stayed in one of the newly renovated rooms. 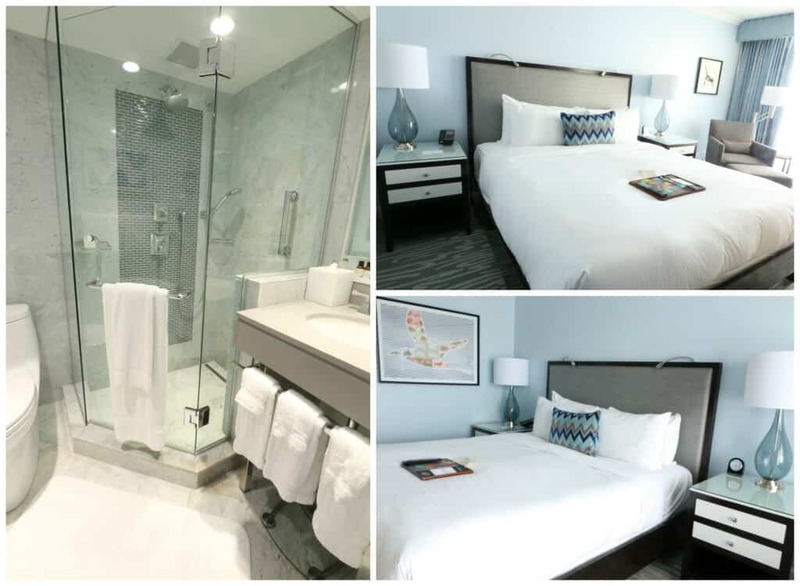 Bright and cheerful with lots of light, modern furniture and fixtures, and a sparklingly clean bathroom. We enjoyed breakfast each morning at the hotels’ Crown and Anchor restaurant, which also serves lunch and dinner. You have your choice of the continental buffet or the deluxe buffet which also includes a nice hot selection. Bagels and pastries, cold cuts and cheese, smoked salmon, cold cereals, fruits, granola, sausages, eggs, bacon, waffles, pancakes, French toast, roasted potatoes, grilled vegetables, etc. It was the perfect way to start each morning! You can either sit inside or out and we rotated. But the atmosphere outside was hard to beat! Let’s take a look at the other two restaurants at the hotel. We really enjoyed our dining experience at 1609. Both the food and ambience were terrific. Take a look and you’ll see what we mean! We started our meal with some Bermuda Onion Bread. It was wonderfully soft and fluffy and we loved the presentation in the cast iron skillet. 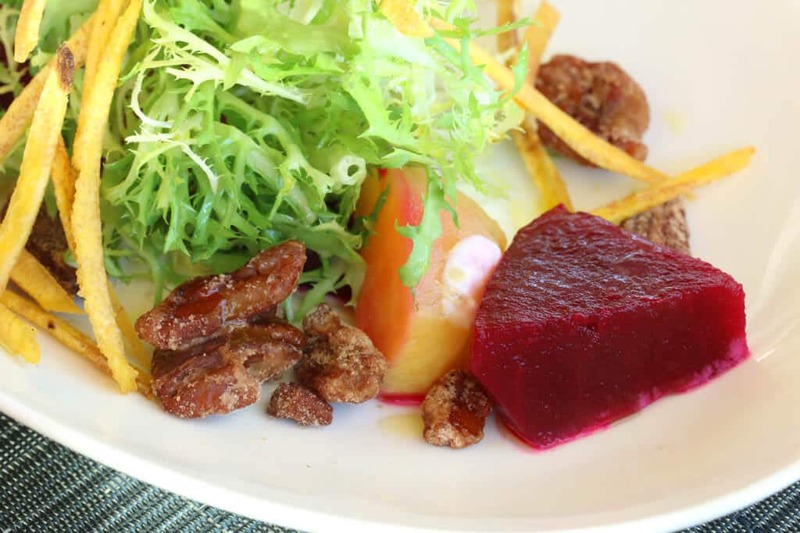 I also had the Roasted Beet Salad with lime labneh, candied pecans, and frisee. The flavor combination and textures were terrific. For our entrees Todd ordered the Seared Peppered Tuna Steak with snow peas, shiitake mushrooms and soy mustard sauce. 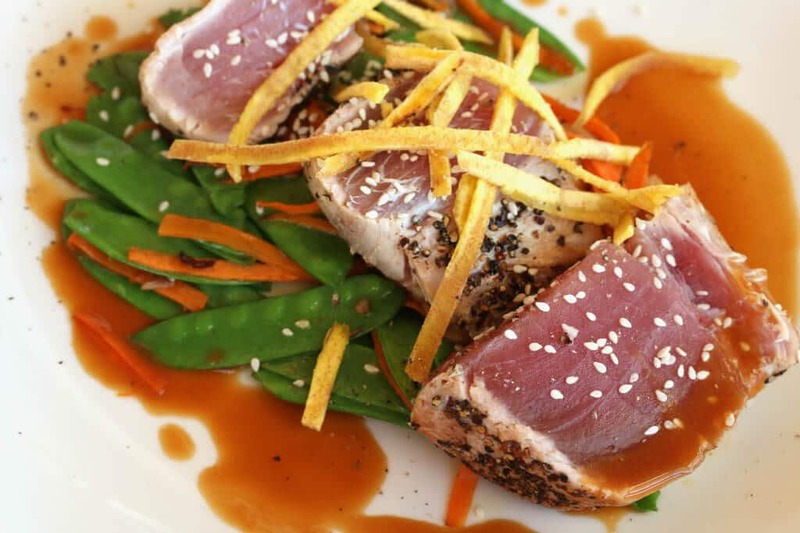 The tuna was perfectly tender and the flavors of the accompanying ingredients complemented it beautifully. 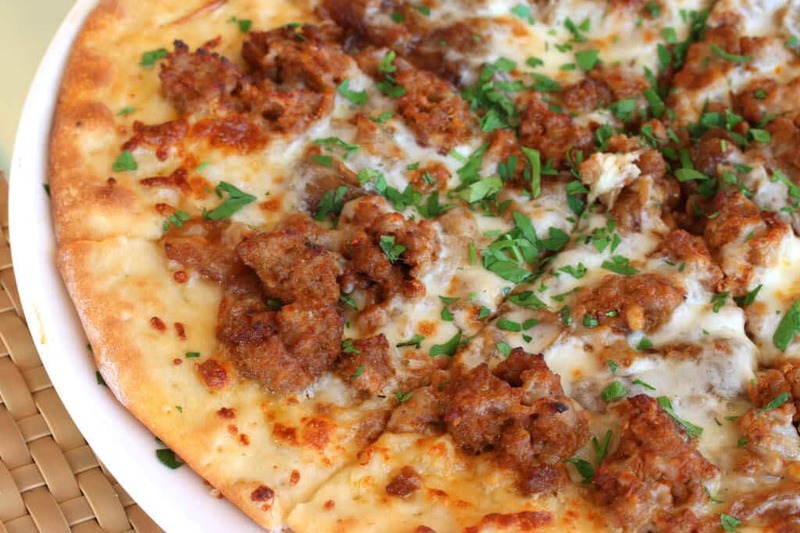 I had the 1609 pizza with Portuguese chorizo and caramelized onions. So good! It was a very large pizza for one serving and I was more than happy to take the rest back with me to our room for later. For dessert we had the Bramley Apple Tart with toasted walnuts and pecans with vanilla ice cream and the Orange Cointreau Cheesecake. Both were absolutely fabulous! 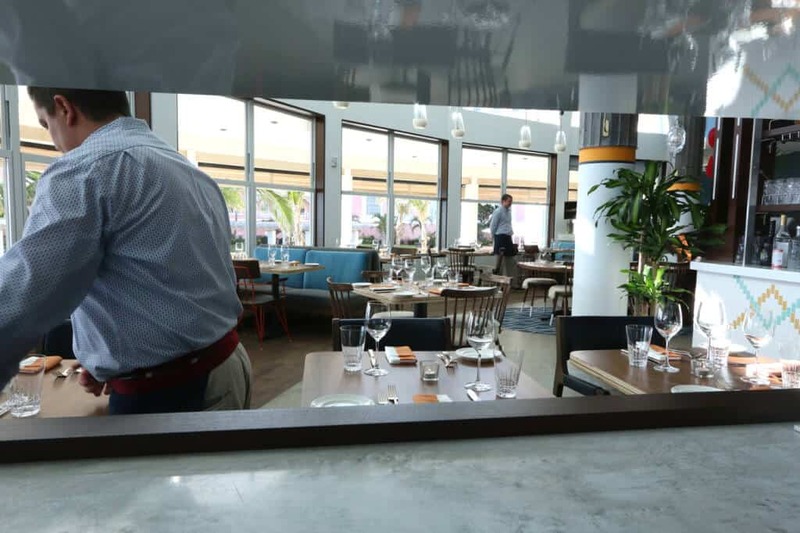 The following night we were invited to attend the official launch party of another new Princess restaurant, this one by celebrity chef Marcus Samuelsson. Some of you may know this Ethiopian-born, Swedish-raised James Beard award-winning chef from having been a judge on “Chopped”, but he also owns several notable restaurants in New York and has published several cookbooks, one of which I own. Guests at this event included the “who’s who” of Bermuda. 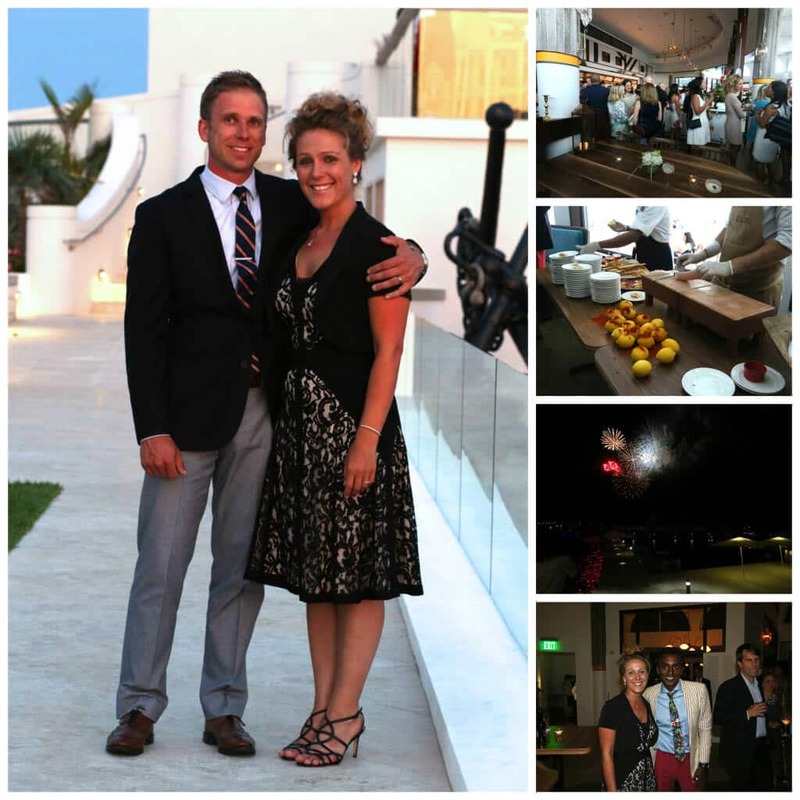 It was a bustling night with live music, a variety of Marcus’ food to try, and the evening ended with fireworks. We were able to meet Marcus that evening and every day thereafter as he was staying at the hotel that week to oversee the restaurant. Having enjoyed a small sampling of Marcus’ food during the restaurant’s launch party, we were looking forward to savoring a full sit-down dinner. 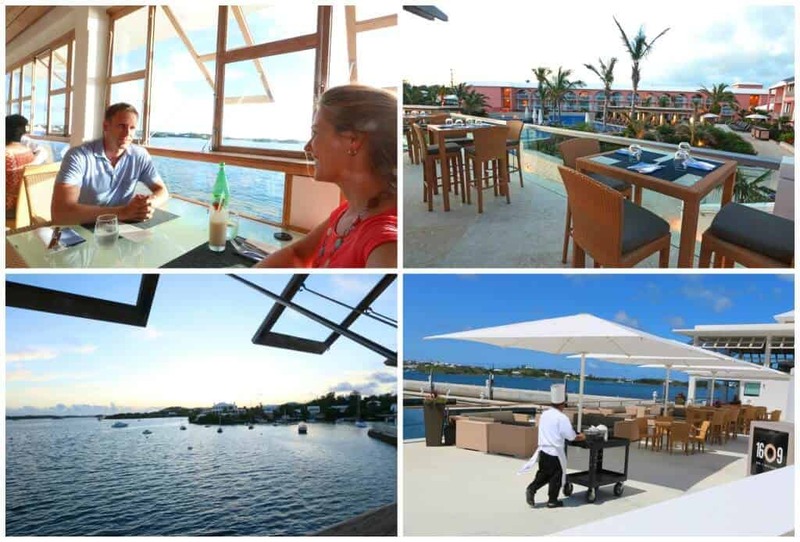 An entire side of the restaurant is glass facing the Hamilton harbor. The restaurant follows a nautical theme with some really cool ship antiques. The staff was extremely professional, knowledgable and friendly. It was evident that the staff is passionate about what they do. They love good food and they love providing first-class service. For example, we asked our waiter about his job and the hiring process. He told us a little about his background: He holds an MBA but left the corporate world to do what he truly loves best – serving food and putting smiles on people’s faces. He exuded both passion and dignity for his profession. After we were seated I happened to look out the window just in time to see a fishing boat bring in the latest catch to the restaurant. I’m sure I startled the restaurant staff when I bounded back through the door front door to catch a closer look. Back in the restaurant we were ready to order. 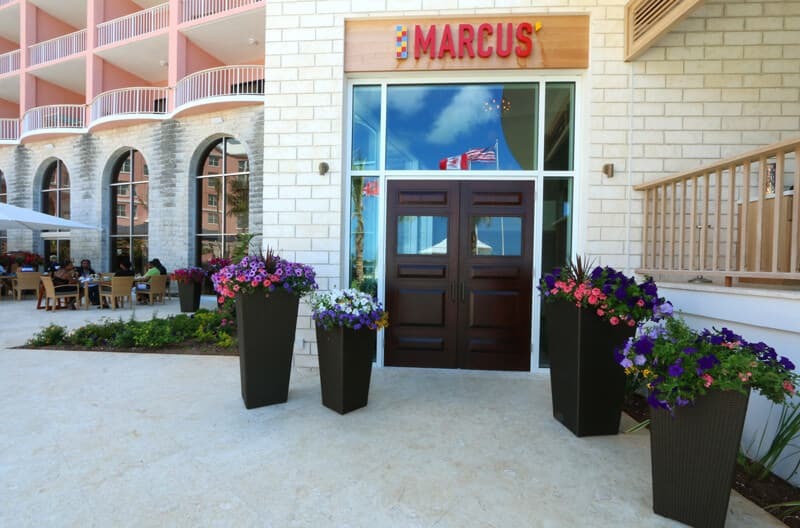 Marcus has created a vibrant menu featuring fresh seasonal ingredients with a Bermudian influence. To start we ordered some virgin Pina Coladas. Marcus prepares them in a unique way – heavy cream and mango puree and shaken up by hand, not in a blender, and is frothy rather than icy. It was excellent. 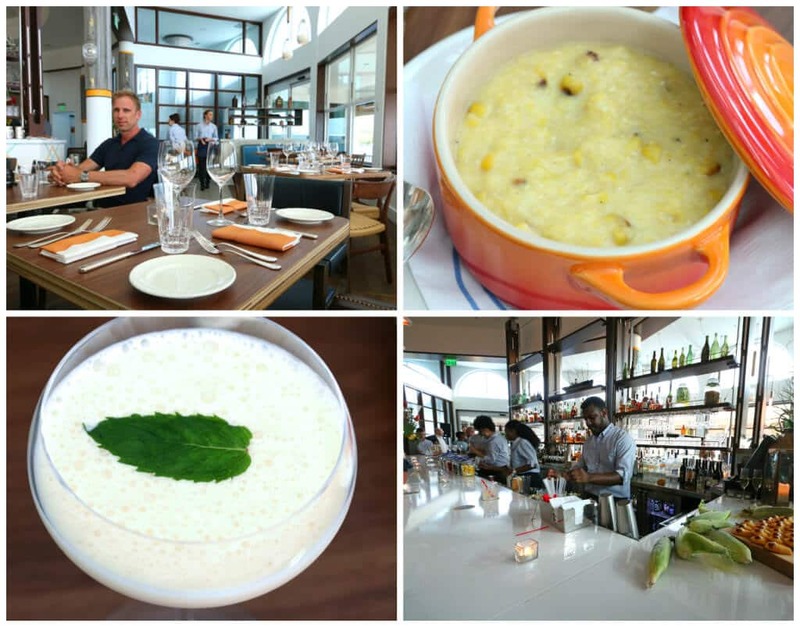 We were also brought some corn chowder to try, compliments of the chef, prepared with Bermudian corn, now in season. 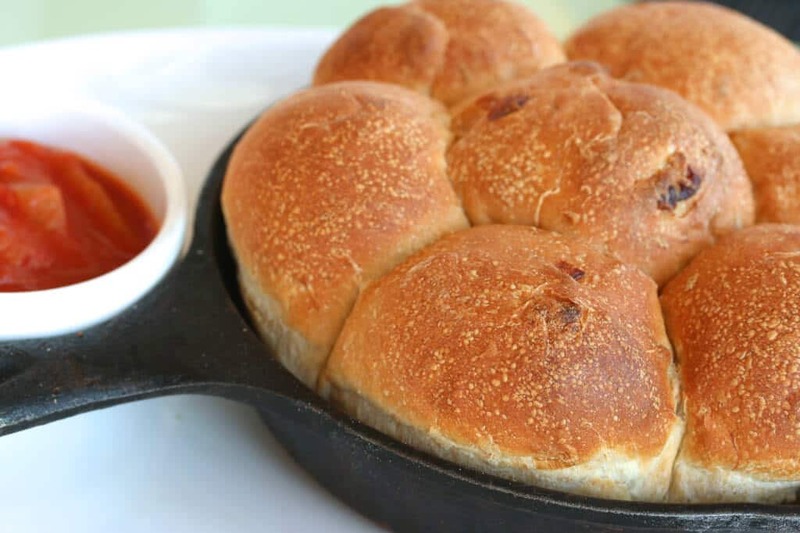 Within a few minutes the bread was brought out and it was hands-down the best bread we’ve eaten at a restaurant. 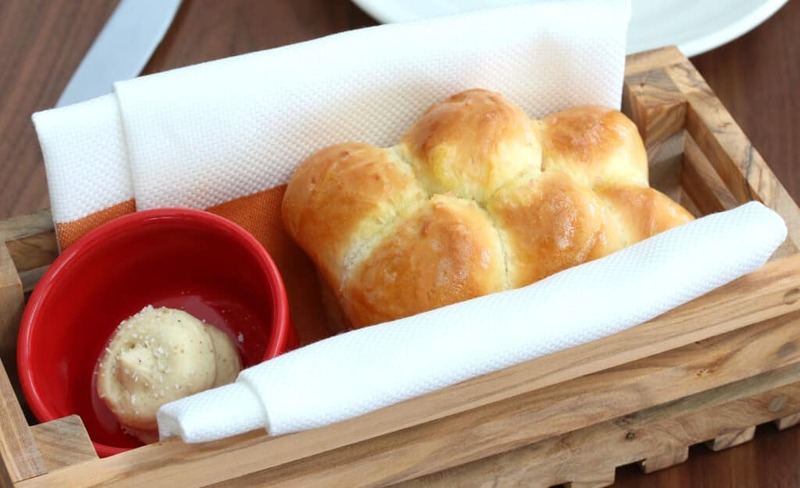 Incredibly fluffy with a rich butter and fresh yeast flavor, we asked our waiter about it and he revealed that it’s made with both butter and duck fat. It was served with jerk-spiced butter. Heaven on earth! 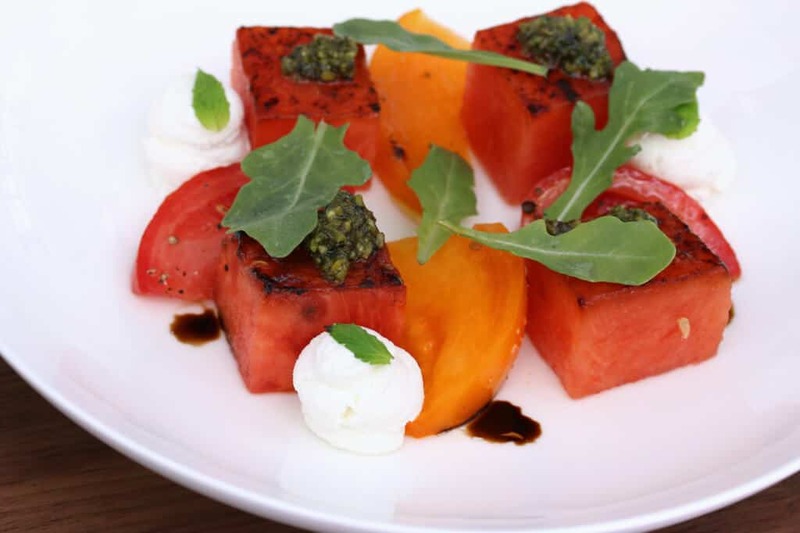 For my appetizer I ordered the Tomato and Seared Watermelon Salad with Pistachio Pesto and Tucker’s Goat Cheese, a delightful combination. Todd ordered the Aunt Bonita’s Crab and Codfish Cake and for our entrees we had the Catch of the Day and the Fire Pit Roasted Chicken, everything creatively and thoughtfully prepared. While we were waiting for our desserts Marcus came over to say hi and to sit and chat with us for a few minutes. He was equally friendly to the other restaurant guests and I think everyone felt as welcome as we did. For dessert we enjoyed the Rum Cake with Salted Caramel Sauce and Vanilla Ice Cream and a very unique and delicious dessert – Apple Sorbet with White Chocolate-fennel Cream, yogurt and Almond Cookie. We left happy and satisfied. After our dinner our waiter, based on a conversation we had, offered to show us the restaurant’s herb garden. 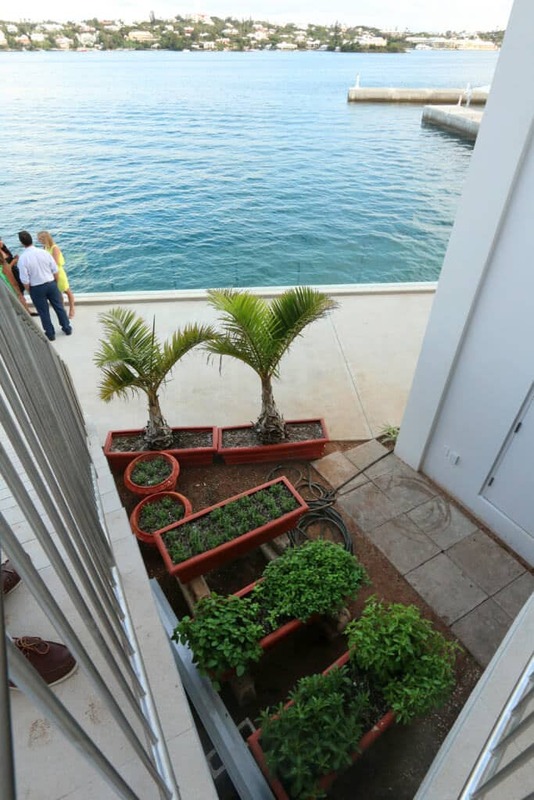 Imagine cooking in the kitchen, “let’s see, I need some parsley”, and then stepping out to this? That’s my kind of herb garden! Yes, the Hamilton Princess even has its own new beach club and talk about prime real estate! The picture below really says it all. Earlier that same day we had popped over the Horseshoe Bay, Bermuda’s #1 tourist site on TripAdvisor. We went there some time after noon and turned around within seconds of walking in. Packed like a can of sardines. Of course if you like being sandwiched in between hundreds of sweaty bodies and laying down in the sand while those hundreds of people walk around – and over – you, then you’d be happy as a clam (to the extent that clams are happy, that is). Not our style. We like peace and serenity and plenty of space to relax and swim. 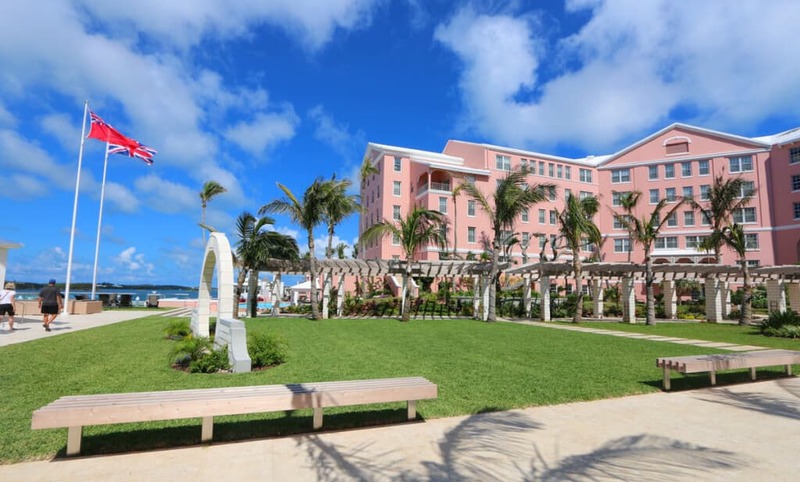 We found our slice of heaven at the Princess Beach Club. 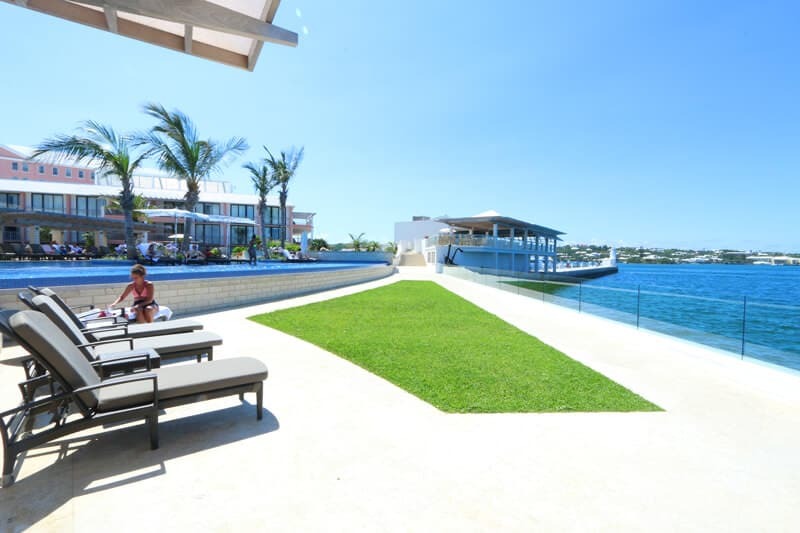 Access to the private beach club is just one of the perks of being a guest of the Hamilton Princess Hotel. Only hotel guests are allowed in. It was great! 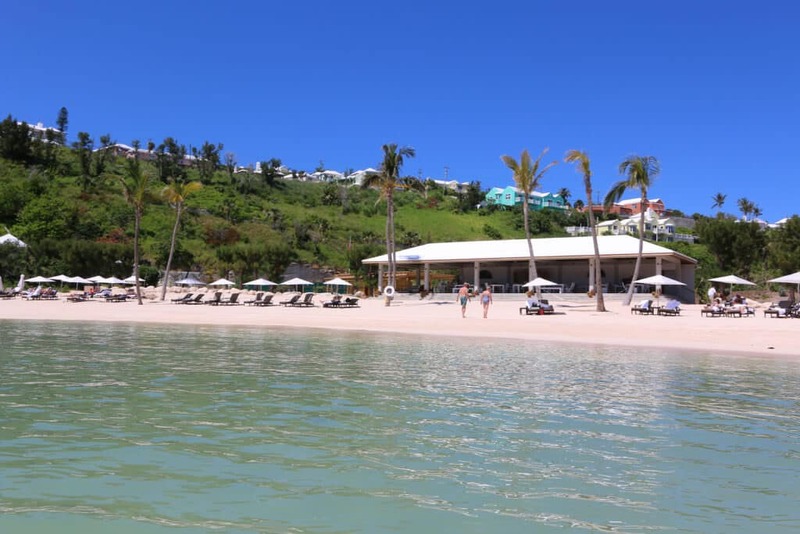 The beach club also serves Marcus’ food and a variety of drinks to sip while you relax on the sand, in the hammock, or on the lounge chairs shaded by umbrellas. We even found a secret little cave! 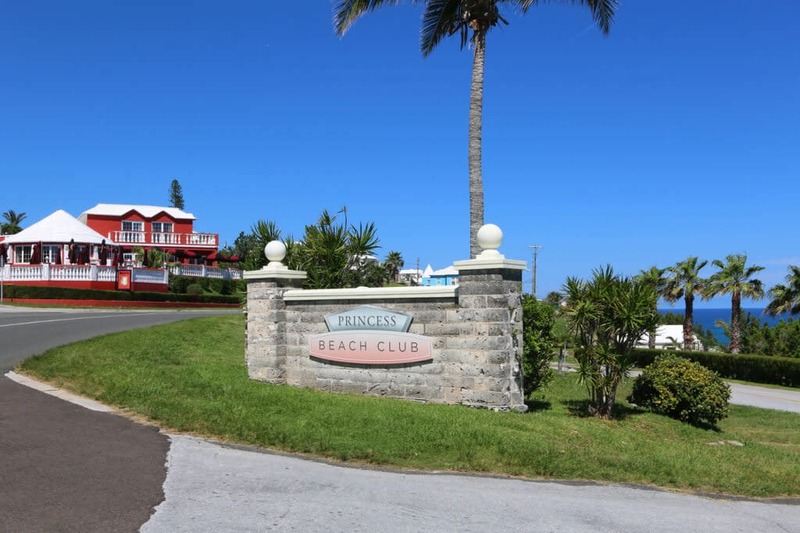 When you come to Bermuda – which you absolutely should (and we will be telling you why in some upcoming posts) – we very highly recommend the Hamilton Princess & Beach Club. It’s located within walking distance to the popular Front Street along the Hamilton harbor with lots of shopping and restaurants, offers the full line of amenities of a world-class 5-star hotel – and then some – is staffed with some exceptionally friendly and professional people, serves amazing food, and provides an atmosphere that is simultaneously modern, chic, cozy, charming, and romantic. AND it has its very own Moongate! 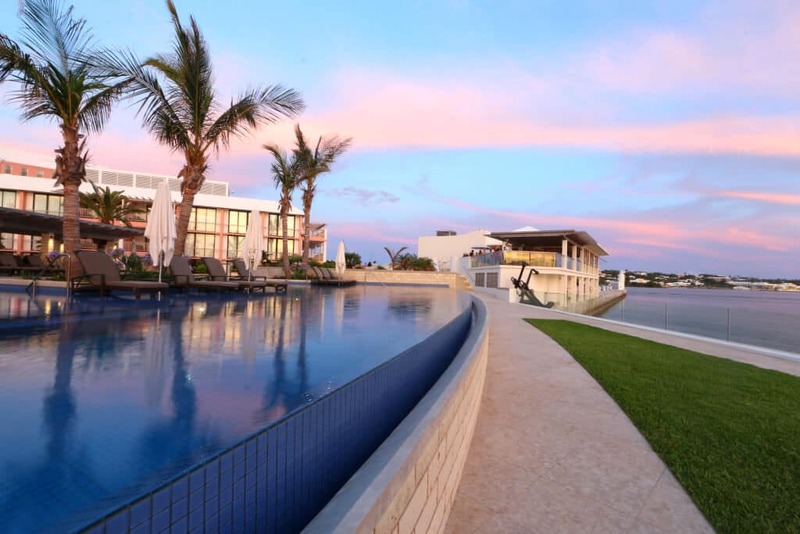 We could not have enjoyed our stay more at the Hamilton Princess & Beach Club. After a week in paradise at the Princess we were walking on air. The time came to finally touch ground but we cannot wait to visit again! And next time we’re excited to bring our kids with us. 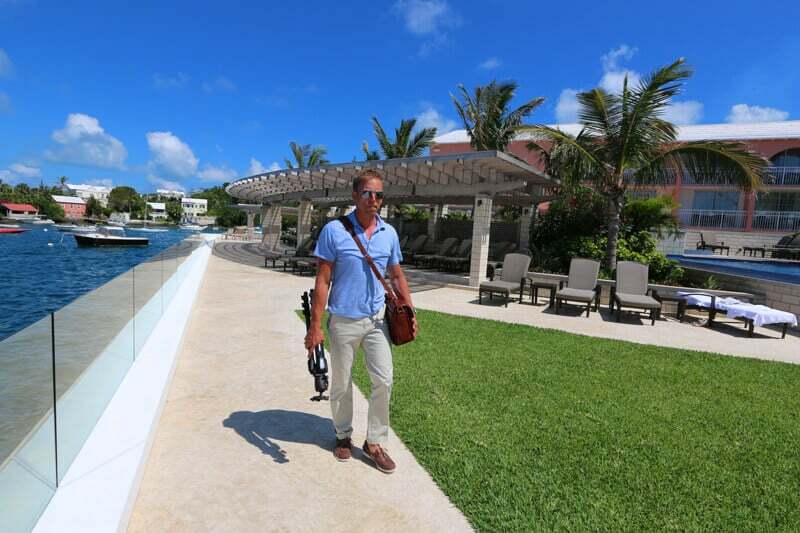 Our time together in Bermuda at the Princess was priceless and we went home with some treasured connections and memories we will cherish forever. This is a sponsored conversation written by me on behalf of The Hamilton Princess & Beach Club via Rhythm One. The opinions, text and photos are all mine. Wow! What a beautiful resort. 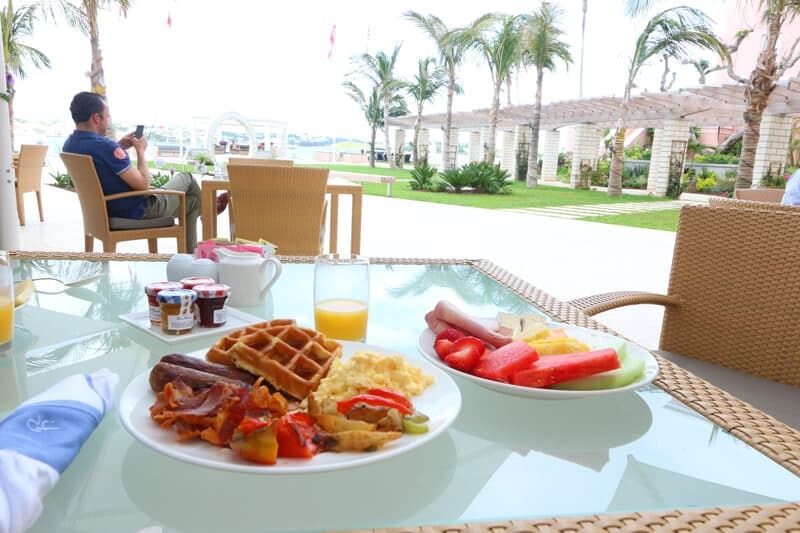 Everything from the room, the pool, the beach, and of course the food looks delightful. Your photography is amazing and I throughly enjoyed strolling through each and every one. I would love to capture my husband and fly him there to rest, relax and enjoy this beautiful location. Thank you for sharing. Thanks so much, Jeanie, I’m glad you enjoyed the virtual tour! You and your husband would fall in love with this place – I hope you make it there someday! A stunning resort! Everything seems to be world class, what a destination this place is! Photos and descriptions are fabulous. Just looking over this place makes one ready to head to this paradise asap. Great review and presentation of what I would label as a #1 vacation to enjoy. Thanks, Joe! It really truly is. 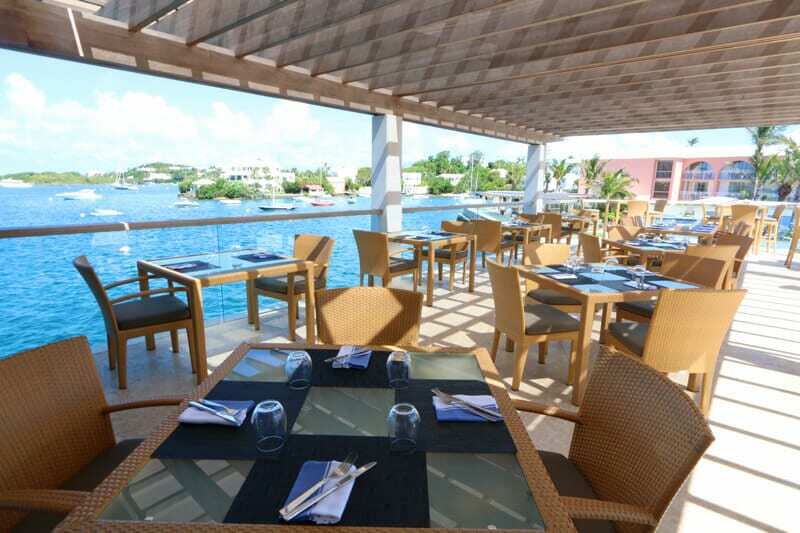 If you ever make it to Bermuda I can’t recommend the Princess highly enough. Wow, what an amazing week in paradise! I actually stayed at this property over 15 years ago and want to go back. The food looks amazing and the property looks incredibly relaxing. I’m always looking for a good excuse to lounge on the beach and this updated resort looks perfect! Ashley, I’m sure you’d be wowed to see the Princess now. 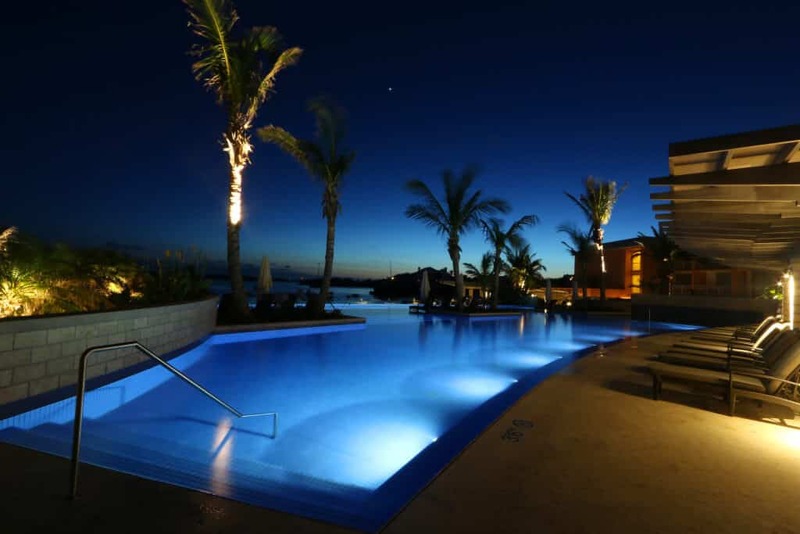 The rooms, the property, food and amenities are incredible and the new Princess Beach Club is absolutely spectacular. I hope you make it back there again someday! Thanks, Diane, and exquisite describes it perfectly :) We had such a great time, thanks so much for reading! Astonishing scenery. Impressive photos of the fine cuisine. I am moved to visit the arch. I can’t believe you had a face-to-face encounter with Marcus. The best part of it all was slowly scrolling thru the photos & reading the upcoming descriptions. I can’t wait to see a future trip here with the rest of your family. I’m glad you enjoyed the virtual tour, Kolokea, thank you! I know, we really want to go back again and take the kids next time. The beaches are gorgeous and they would have such a blast! What a wonderful resort journey! 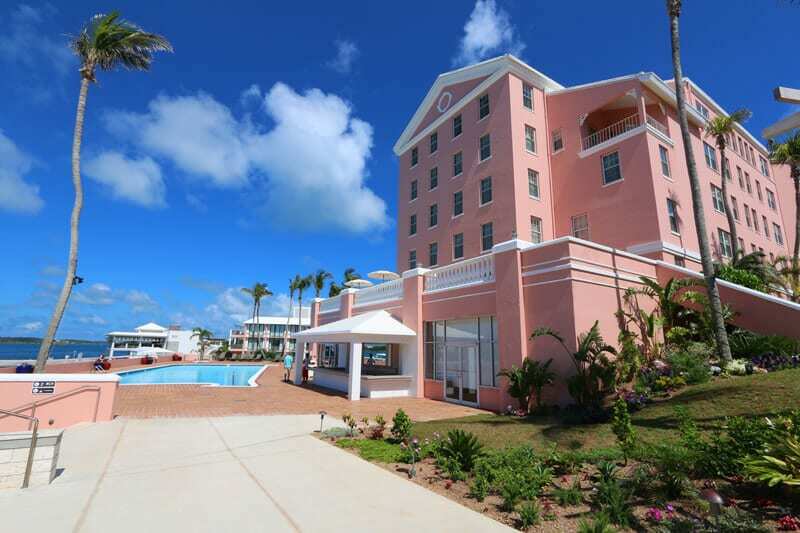 I can’t wait to travel to Bermuda and would love to stay at the Princess. I always love staying at Fairmont managed properties and the Princess in no except. The photos and narrative leads the reader thought a wonderful online experience. 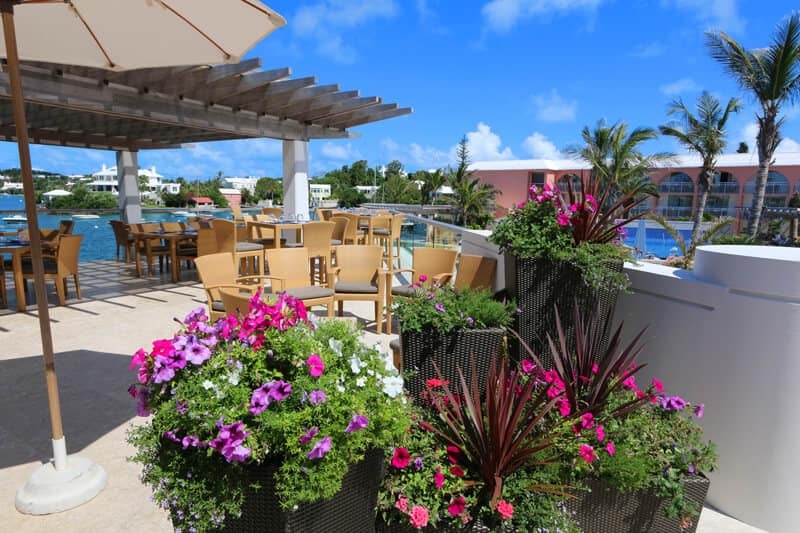 Can’t wait to visit Bermuda, stay at the Princess and sample the exquisite restaurants and the relaxing atmosphere. Really can’t wait! The Princess is definitely the Fairmont at its finest, John. 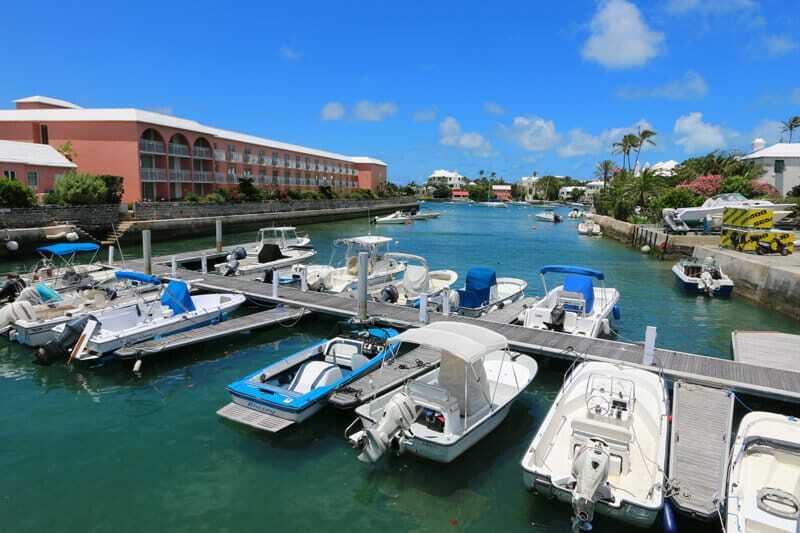 For anyone traveling to Bermuda we cannot recommend it more highly. 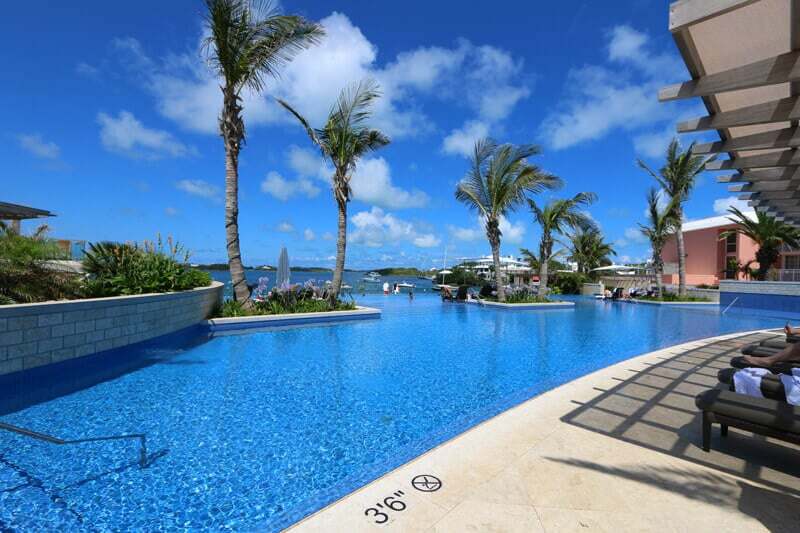 Whenever you end up going, you’re going to love this resort and the island! Would love to visit. Looks amazing! It really is, Melissa! 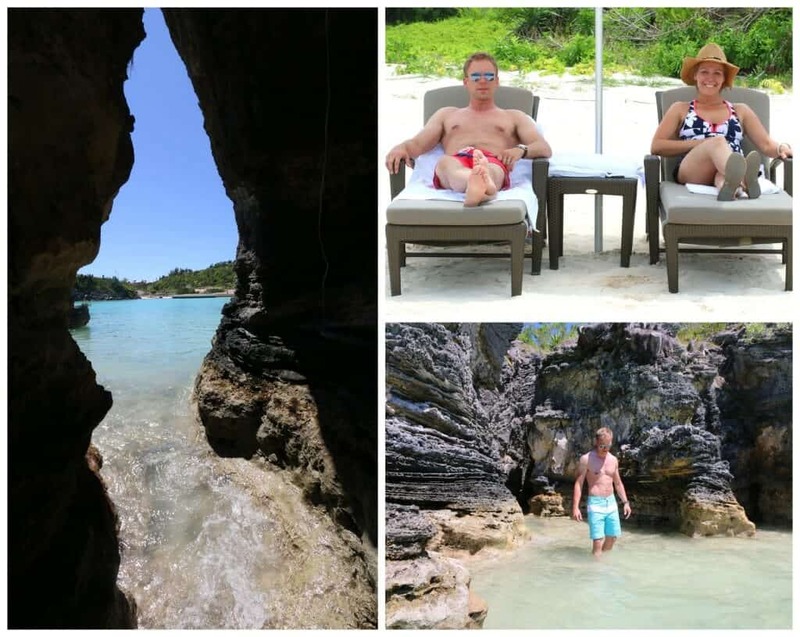 We had high expectations but this resort and Bermuda in general far exceeded them. Ever since we got back we haven’t been able to stop talking about it! Wow, that is an amazing resort. When the wife and I travel, we will definitely look to going to this place. Thank you for the wonderful review of it. My pleasure, I’m so glad you enjoyed the tour! You and your wife will love it here! This looks AMAZING!!! I NEED TO GO HERE!!! Thanks for the info. This is on my future trips list for sure!!! Amazing pictures! Great description! Would love to go there some day! Thanks so much, Leanne! :) We really hope to go back again! This looks like a wonderful place that I would love to go with my husband. I loved the pictures and your commentary about the pics made me feel like I was getting a personal tour. I’m so glad you enjoyed the tour, Angie, thank you! :) I’ve no doubt you and your husband would love it here. The Princess and Bermuda are truly special. Looks absolutely beautiful ! looks like a place where you can leave the cares of the world behind for a short time and be pampered ! yes it’s My kind of holiday. Okay, this is one destination that has to go on our bucket list!! Love the atmosphere of tranquility and beauty, and that sea is just so inviting. Would really welcome a holiday here which would be a lovely change from our unpredictable British climate and the food looks fab. Thanks Kimberley for the tour. You’re so welcome, Ola, I’m glad you enjoyed the tour! Having lived in England for several years ourselves is one of the very reasons we enjoyed Bermuda so much – there is a ton of English history here. It’s one of the most fascinating places we’ve visited from that standpoint. You will love it! Fantastic pictures and details on everything at this property !!!! I would definitely want to stay here for my next vacation !!! I am drooling looking at your photos. 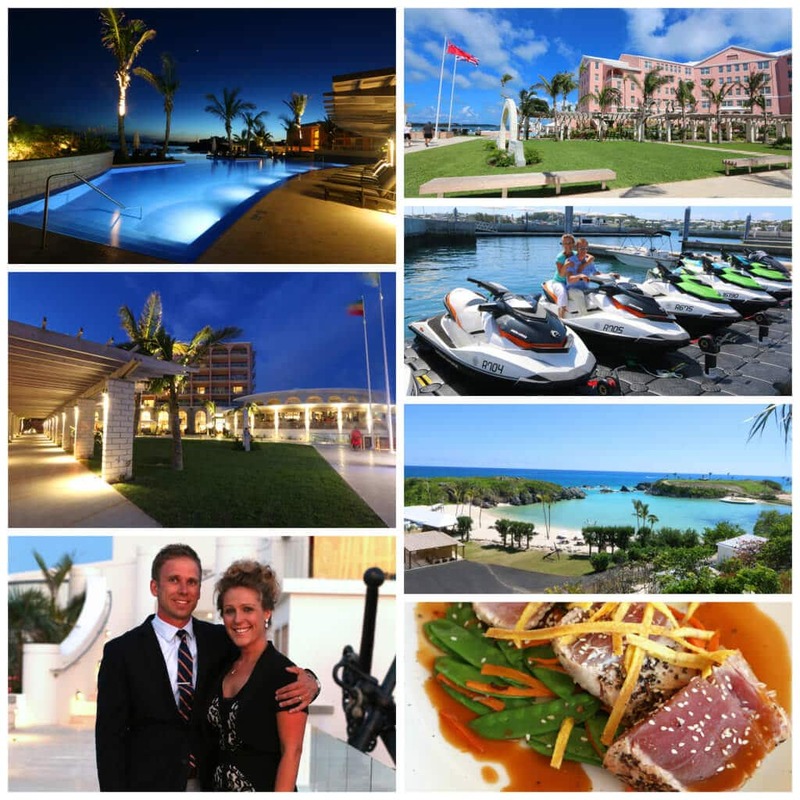 I have never had the pleasure of Bermuda even though I have traveled extensively. Look what I’m missing!! What a gorgeous spot you found on this earth. Now on my bucket list for sure!! Ahh I want to go!! It looks so amazing and I love the beautiful resort! What an amazing destination! I have never been to Bermuda, but from what I hear it is well worth the trip. The Fairmont certainly lives up to its reputation as a top notch resort. Thanks for the great review! My wife and I follow your travel and hotel reviews regularly. This one is a winner. We go on vacations regularly, and have been considering Bermuda for some time. My wife called my attention to this post, and we have decided to make the trip. Your post about the Hamilton Princess is excellent. Thank you for helping us make the decision about this one! That’s fantastic, Mark, I’m so thrilled to hear the two of you have decided to make this trip! You’ll both love it! Enjoy the Princess and Bermuda! Wow! Gorgeous hotel, gorgeous room!!! Love reading your trip having just returned from the resort!! So jealous you got to go with your hubby! I can’t wait to bring him back one day! Friends of ours honeymooned in Bermuda about 15 years ago, and their pictures have made me want to visit ever since. Looks like you had such a wonderful time in this paradise. What a beautiful place to stay! It looks absolutely amazing!! That’s definitely a place I will keep in mind for a future trip. Everything seems perfect. Thanks for sharing! Stunning! Looks like a fabulous get-away. Wow! What an amazing place to stay! Love all the history there- especially being a huge WWII buff myself. :) And I am so jealous that you got to meet Marcus Samuelsson! I love him! It was such a fabulous experience, Carrie! We’re still talking about it and we’re going to keep talking about it until we finally go back again! What a beautiful resort, your pictures are beautiful. I’ve never been to Bermuda put I’d love to escape there soon. This seriously looks like a dream!! What a gorgeous resort. Bermuda is officially on my list now! Looks incredible- I love how blue the sky and water are, and the food pics are to die for! Thanks for sharing! Wow! I’ve never been to Bermuda but this makes me want to go. What a gorgeous resort! Looks wonderful, Kimberly! After going to Jamaica, I was imagining that Bermuda would be similar, but it looks very different to me! The interior of the Princess looks phenomenal! 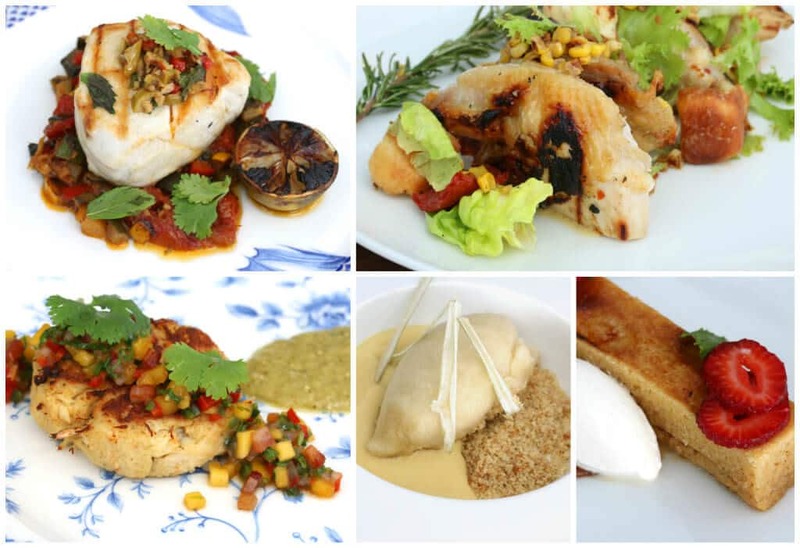 What a trip you and your husband had, being treated like royalty for a week- and the food looks fab, too! I have to put Bermuda on my bucket list now! 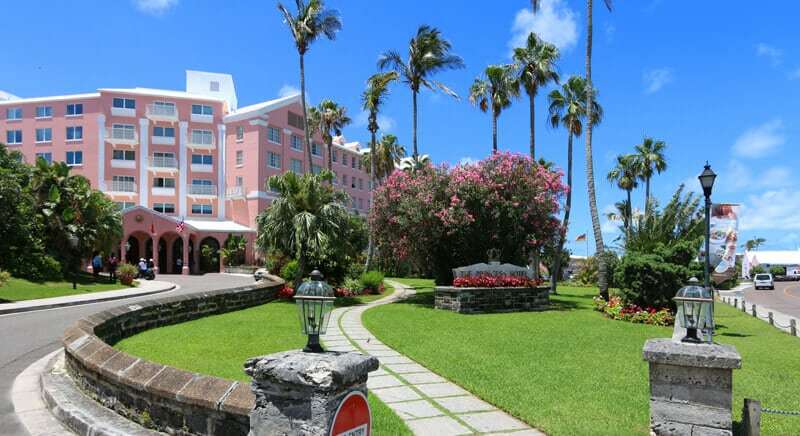 I was fortunate enough to visit Bermuda many years ago and stayed at the Hamilton Princess for 10 days. I agree that it is such a lovely and elegant hotel. I would love to see those fabulous renovations! They look fabulous! I want to go so bad right now! Great review, post, and love how many pictures you took! It looks absolutely perfect. Wow – I want to go to there!!! What a beautiful hotel, love the pool area! 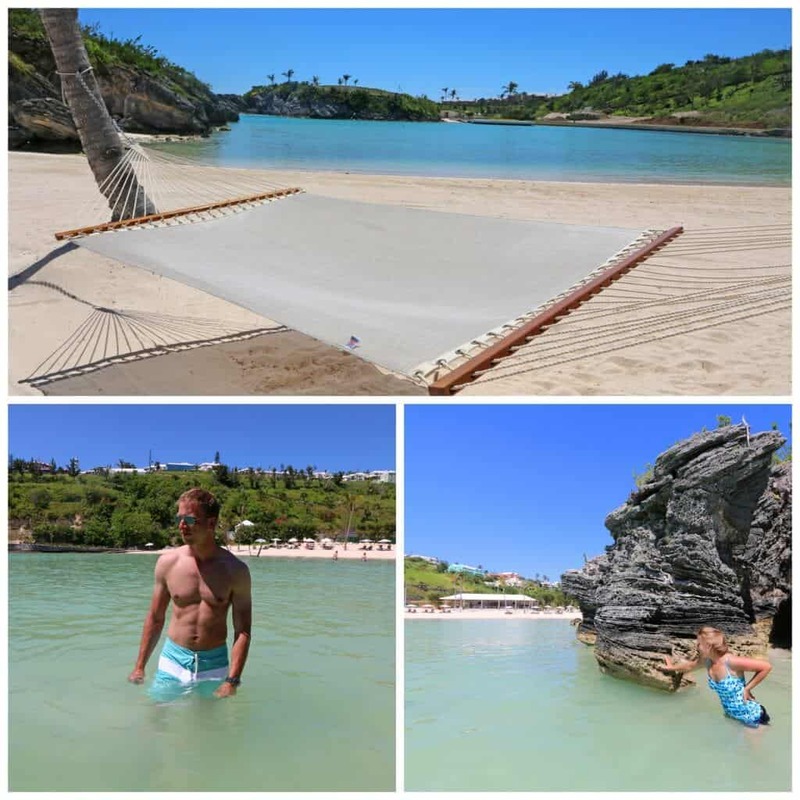 I’ve never been to Bermuda, but all of these photos make me want to go. The water. The sunsets. The FOOD!! You can just leave me at the beach club. That white sand and crystal clear water! I might live in Italy and people are dying to come to the Amalfi Coast and Cinque Terre, but Italian beaches have nothing on Bermuda and the Caribbean. What a beautiful place! I wouldn’t even think about staying anywhere else. Great job. This looks like a dream vacation! I would love to go there and check it out! thanks for sharing your fantastic vacation photos! It was unbelievable, Kathy! Really, I cannot recommend a more perfect place to stay, the Princess was amazing! Hopefully you won’t have to twist your husband’s arm too hard – once you get him there he will be so glad he went! wow…i was there SO many years ago (took my mom after my dad died) but it wasn’t like this. but it does hold a special place in my heart because i went for my first scuba diving there, and was hooked forever. we actually traveled between the hamilton princess and southampton princess for this. it looks like we need to return here…beautiful!